Need blazin' synth loops that will set your productions apart from the pack? Platinum Synth Melodies is loaded with 30 multi track synth loop sets ready to help create your next urban synth laced track. From big screaming lead lines to club ready arpeggios to thick warm pads this product delivers. Whether you need hip hop, urban pop, or dance this product has you covered. Mix and match the loops to create thousands of music ideas. 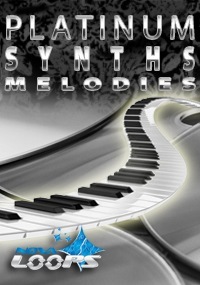 Platinum Synth Melodies is another Beat Warrior product from Nova Loops. The production team's credits include Tu Pac, Flo Rida, Wu Tang, Jodeci, Mariah Carey, Chris Brown, NFL, BET, HBO, and are responsible for over 20 million records sold worldwide! All parts in this product are separated, edited and come formatted in WAV(Acidized) and Apple Loops format. When you need synth ideas for hip hop, urban pop or dance, look no further than Platinum Synth Melodies.